An interior design specialist is one who understands the balance of color and the placement of furniture and accessories that make a living area warm, inviting and reflective of your personality. A professional designer will take the reins on the project, making sure everything’s done on time, on budget and as you like. 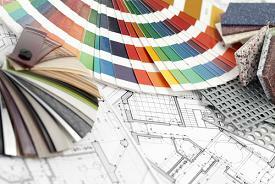 Interior design services are beyond just picking colors and placing accessories. He or she will ensure that project deadlines are met, deliveries are made on time and construction is completed as ordered. The interior designer understands how to orchestrate these elements to put together a satisfying and pleasing result. Using a design professional can actually save money and time in the end. Designers are trained to identify what homeowners’ needs are, how to fulfill them and how to keep the cost within budget. Though home design might seem like an easy DIY weekend project, deciding and finding the right paint colors, furniture pieces and accents can be time-consuming and expensive. Using an interior designer can capture your true design personality, once and for all. Though you may think you know your likes and dislikes, an educated, skilled designer knows what questions to ask and what to look for in a client’s life story to glean details about personal tastes. You can also learn from your design pro, figuring out how to update your home over time while staying true to your overall style. Consider using an interior designer as an investment in your creative education. If you’re considering using an interior designer to spruce up or redesign your Kansas home, contact Interiors by Melody. We can help you with the entire design project, taking over the cumbersome work so you’re free to sit back and enjoy the process.